A editora continua a divulgação homeopática dos 52 títulos que vão compor seu catálogo a partir de setembro. The web site is genuinely very good and intriguing. Woah! I’m really enjoying the template/theme of this site. It’s simple, yet effective. A lot of times it’s very hard to get that “perfect balance” between usability and visual appearance. I must say you have done a great job with this. Also, the blog loads extremely quick for me on Firefox. Outstanding Blog! Thank you, guys! How have you found us? It’s possible I’ve visited your blog, I can’t remember. Well, be my guess. Hi, I was just looking through some blogs and I found your site from bing. I read a few of your posts and thought they are well written. Thank you, I will visit your homepage again soon. I’m adding your blog’s rss feed so that i can see your new posts. Continue the great work! What about the Portuguese writing? Can you read so far? Magnificent article, lots of the data was particularly valuable. How are you, I was surfing the web and I stumbled to your webpage from bing. I read some of your articles and think they are well written. Thank you, I’ll come back to your page again soon. I don’t even know how I got here, but I thought this post was good. Cheers! How are you, I was just browsing some sites and I saw your webpage from yahoo. I read some of your posts and think they are nicely written. Thanks, I will try to come back to your blog again soon. Next time My partner and i learn a blog site, I hope it doesnt fail me being a lot because this 1. After all, I know it absolutely was my own substitute for understand, however I personally considered you would have got one thing fascinating to express. Just about all I listen to is a few whining concerning something that you might repair if however you were not as well hectic searching for interest. thank you for sharing Revistas do Lanterna Verde no Restart da DC | Papo de Quadrinho with us, I believe Revistas do Lanterna Verde no Restart da DC | Papo de Quadrinho truly stands out : D.
thank you for sharing Revistas do Lanterna Verde no Restart da DC | Papo de Quadrinho with us, I think Revistas do Lanterna Verde no Restart da DC | Papo de Quadrinho truly stands out : D.
thank you for sharing Revistas do Lanterna Verde no Restart da DC | Papo de Quadrinho with us, I conceive Revistas do Lanterna Verde no Restart da DC | Papo de Quadrinho really stands out : D.
thank you for sharing Revistas do Lanterna Verde no Restart da DC | Papo de Quadrinho with us, I conceive Revistas do Lanterna Verde no Restart da DC | Papo de Quadrinho genuinely stands out : D.
Fantastic write-up, thank you. I just agreed to the rss! Would have been more exciting to hear a teaser clip of the engine than this picture. My partner and i bookmared your site a few days ago coz your site impresses me. You made some decent points there. I appeared on the web for the problem and found most individuals will go along with with your website. Hello folks, I was just checking out this weblog and I really admire the basis of the post, great job. What I find bothersome is to find a blog that can capture me for a minute however your blog is different. Well Done. I’m still studying from you, and I’m bettering myself. I actually enjoy reading everything that’s written on your blog. Keep the articles coming. Really enjoy it! Excellent story it is really. I have been waiting for this info. I’m continue learning from you, and I’m bettering myself. I actually enjoy reading everything that’s written on your site. Keep the posts coming. Really love it! Merely a quickly hello and also to we appreciate you discussing your thinking about this page. Nice work with the blog mate. I think your writing is very simply and yet very engrossing. It is one of those blogs that makes you stay and read the entire thing. Revistas do Lanterna Verde no Restart da DC | Papo de Quadrinho Wonderful goods from you, man. I have understand your stuff previous to and you are just extremely wonderful. I really like what you have acquired here, certainly like what you’re saying and the way in which you say it. You make it enjoyable and you still take care of to keep it sensible. 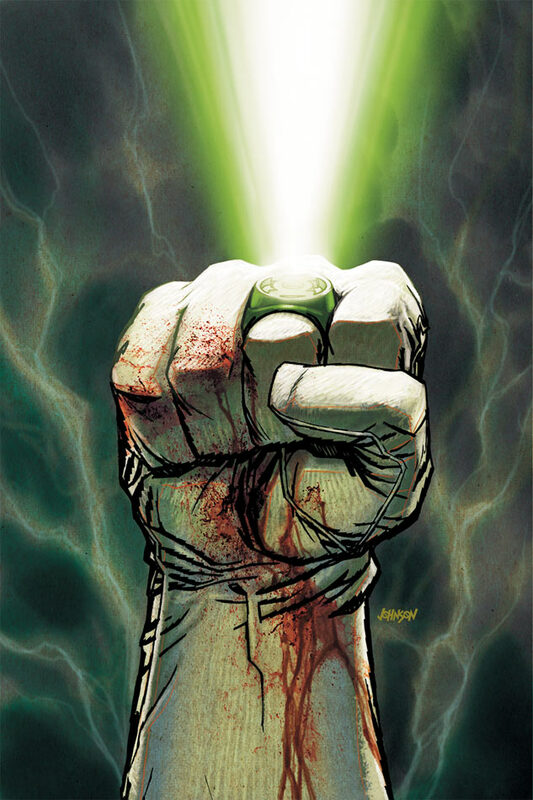 I cant wait to read much more Revistas do Lanterna Verde no Restart da DC | Papo de Quadrinho again from you. Thanks For Share . I like Your Article about Revistas do Lanterna Verde no Restart da DC | Papo de Quadrinho Perfect just what I was searching for! . Hey there – looks like your blog is a really happening place. Could you share some tips on how you monetize your blog.. I tried to submit a comment earlier, although it hasn’t shown up. I think your spam filter may possibly be broken? I like Your Article about Revistas do Lanterna Verde no Restart da DC | Papo de Quadrinho Perfect just what I was looking for! . Great post plus easy so that you can figure out description. Exactly how can I actually approach getting authorization so that you can post element of your document at my upcoming newsletter? Providing proper consumer credit back a creator plus url to your web-site wouldn’t often be a problem. Superb blog post, I have saved this web site so ideally I will discover more on this subject matter in the foreseeable future! Howdy, make sure you inform us when we’ll see a follow up. Revistas do Lanterna Verde no Restart da DC | Papo de Quadrinho Fantastic goods from you, man. I’ve understand your stuff previous to and you’re just extremely excellent. I actually like what you have acquired here, really like what you’re saying and the way in which you say it. You make it enjoyable and you still care for to keep it wise. I can not wait to read far more Revistas do Lanterna Verde no Restart da DC | Papo de Quadrinho again from you. Thanks For Share . Revistas do Lanterna Verde no Restart da DC | Papo de Quadrinho Fantastic goods from you, man. I have understand your stuff previous to and you’re just extremely magnificent. I actually like what you’ve acquired here, certainly like what you are saying and the way in which you say it. You make it enjoyable and you still care for to keep it sensible. I can not wait to read much more Revistas do Lanterna Verde no Restart da DC | Papo de Quadrinho again from you. Thanks For Share . Good – I should definitely pronounce, impressed with your website. I had no trouble navigating through all tabs and related info ended up being truly easy to do to access. I recently found what I hoped for before you know it in the least. Reasonably unusual. Is likely to appreciate it for those who add forums or anything, web site theme . a tones way for your customer to communicate. Nice task.